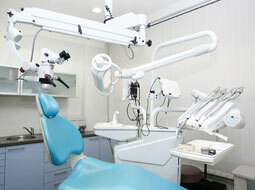 Our Dental centre has State-of-the-art infrastructure. Our Dental centre has State-of-the-art infrastructure, equipments and in-house facilities that make us to provide comprehensive dental care for all class of patients. we give special attention to hygiene and sterilization at our dental clinic. We give top most priority for the sterilization of instruments. For this purpose we use standard autoclaves, U-V light cabinets and chemical disinfection. Our Dental operatory has latest, fully automatic, Sophisticated Dental Chairs and tech-advanced equipments. Dr. Teeth Dentistry is a state-of-the-art Dental & Orthodontic Centre situated in the heart of the City of Tirupur. Established in the year 2012 with the mission to provide Dental and Specialised Orthodontic treatment using advanced technology and techniques in a Hygienic, caring and Honest Environment.